It is with sadness we announce the death of Dave on 3 February. One of the club's earliest members, Dave soon became chairman and a long-serving one at that. 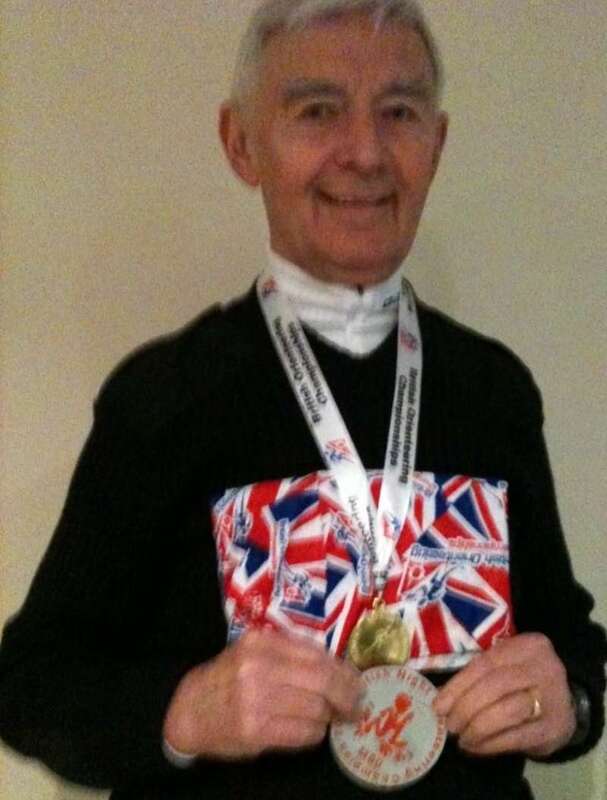 His son Richard described orienteers as being his father's extended family. Dave came to Taunton as a police inspector and joined newly formed Quantock Orienteers in August 1969 and soon became secretary. He was elected chairman at the AGM in 1971 and remained in that post for nine years (there was no constitution in those days limiting it to three). He was also prominent in SWOA as chairman and fixtures secretary. Dave moved from Taunton to Weston and then to Nailsea as Chief Inspector. He later moved home to Yatton and eventually joined Bristol OC (BOK) where he and his son Richard were active members. Dave was also a founder member of BOK Army, a group of BOK and surrounding clubs who went along to Army training events on Wednesdays. We shall miss his friendly advice and repartee at events and offer our condolences to his wife Mavis and children Jenny and Richard, as well as his grand children.